Aerospace Support International repairs, overhauls and maintains rotable components for virtually every type of aircraft in operation today. We provide a wide range of component repair, overhaul and exchange as well as scrap replacement options designed to improve efficiency while reducing cost. We test, repair, overhaul and perform scheduled maintenance checks on components, including avionics, instruments, pneumatics, hydraulics, electronics, fuel controls and electrical accessories. With more than 18 years of experience serving the aviation industry, Aerospace Support has built a loyal global customer base by providing high-quality performance, quick turn times, competitive pricing and exceptional customer service. Our innovative technical solutions reduce our customers’ component maintenance costs through our excellent OEM relationships, and PMA detail alternatives. We offer a wide range of support packages such as flight hour agreements, rotable pooling, leasing and exchange consignments, as well as standard time and material repairs/overhauls. We are a recognised industry expert in the repair and overhaul of both rotating and static components. 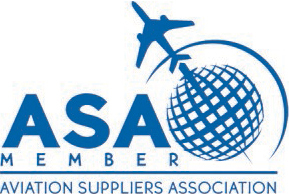 We are ASA members and an approved ISO 9001 : 2015 company. We are easy to do business with personal contact and regular updates enabling our customers to check the status of their project at any time.